Sarah qualified as a Solicitor in 2011 before joining our Employment Team in August 2013 from a large regional law firm. She was invited to join the Partnership at Leathes Prior in May 2017. Sarah provides advice to businesses of all sizes throughout the UK on all areas of employment law, whether contentious or non-contentious. Sarah has an excellent reputation for providing commercial and pragmatic advice to her clients, and prides herself in her quick response times. 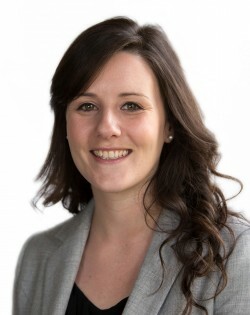 Sarah often provides support to Leathes Prior’s Corporate and Commercial Team on the employment aspects of its business sale/purchase transactions; advising on the various legal implications, risks, and commercial documentation associated with those, and providing practical advice on how to manage the employees “on the ground”. Whilst Sarah advises on all aspects of employment law, her particular area of expertise lies in advising on redundancy processes (collective and individual), restructuring exercises, and TUPE issues in a way that is clear and easy to understand. She is frequently called on to advise her clients initially on the legal considerations in those matters and then takes a “hands-on” approach to leading her clients through the necessary legal processes that follow. Sarah also regularly acts for employers facing claims in the Employment Tribunal and has a reputation for achieving excellent results for clients and being a formidable opponent. You (and your team) really are the best – so thanks for all your support this year – you have simply been the best with my young directors, holding their hands at every turn. You are almost one of the team!! Our sincere thanks also to Sarah for her diligence and hard work behind the scenes. She is clearly a very talented asset to the number one law firm in the county. Thanks a lot for your help with everything. I will happily recommend you and the Company for any future advice/cases that come up. Thank you for all your excellent help, guidance & advice on all of this. We definitely could not have done this properly without all your input! Thanks for your email – a great help and explained simply. Just a note to thank you for your robust advice, your patience and approachable attitude which made the nasty experience of redundancies a lot easier.